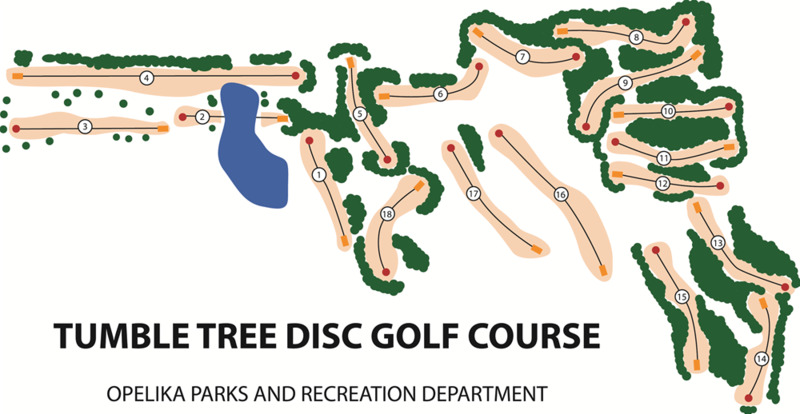 The Tumble Tree Disc Golf Course is located at the Opelika SportsPlex. The Tumble Tree Disc Golf Course is an 18-hole course that crosses bodies of water, travels over inclines and hills and follows trails through the woods. The Tumble Tree Disc Golf Course is FREE for anyone to play, but players are encouraged to bring their own discs and plenty of water when playing the course. The Opelika SportsPlex and Aquatic Center is more than just a gym. In fact, you might call it a “Life Enhancement Center.” Here, you can enhance your health, fulfill your fitness goals, enlarge your life and fraternize with fun folks from the community or in sociable special interest groups. From basketball to racquetball, swimming pool to splash park, cardio to weights, indoor and outdoor tracks for walking to running, there are facilities, equipment and activities to get you fired up! Join now and get involved! Come be a part of the Opelika SportsPlex family. Click here for more information about the Opelika SportsPlex.